Materials: Bigleaf maple and African ebony with dyed/bleached maple veneers. 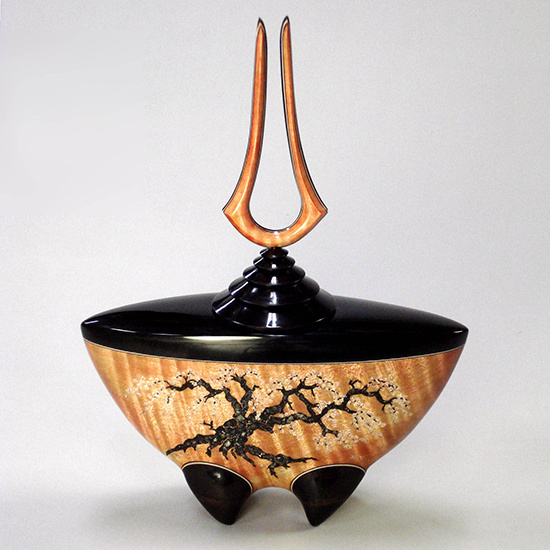 Hollow vessel is inlaid with mineral crystals then finished with 20 coats of hand-rubbed musical instrument lacquer. Comment: My favorite in this series of forms, the piece was acquired by Patti Hill in exchange for one of her amazing woven vases.